It may be sweater weather, but that doesn’t mean its time to pack up your favourite spring and summer activities. The fall is the perfect time to spend time on your bicycle! Crisp air, vibrant colours and quieter roads and trails are excellent reasons to hop on your bike and explore. The Ontario Parks Fall Colours Report monitors the changing of the leaves in the tree canopy, and lets you know what to expect day to day in your area. 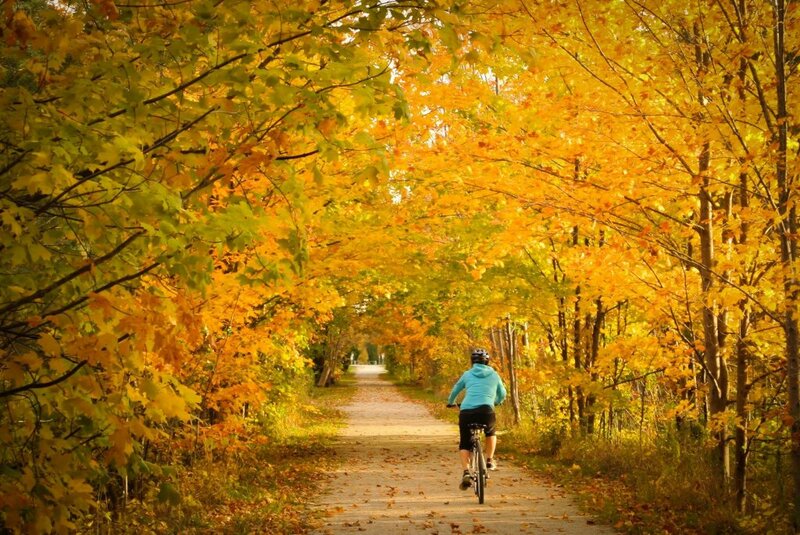 Plan your bike ride to experience the natural beauty of Bruce and Grey counties. There are 100s of kilometres on trails and on-road cycling routes to explore across Bruce Grey. Bring your family or friends together for a colourful and active fall tour adventure.